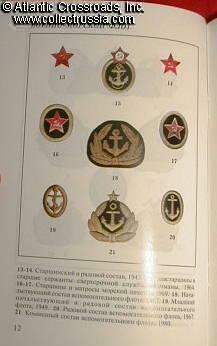 "Hat Badges" the definitive guide to badges of Soviet headgear 1918 - 1991. "Hat Badges" the definitive guide to badges of Soviet headgear 1918 - 1991. Russian text, softbound 56 pages. This book contains photos of over 300 badges as used by the Soviet Armed Forces, Internal Security Forces, Railways, Civil aviation, Merchant fleet, etc. 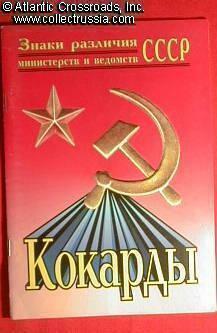 This is the first and only such reference book on this topic, and will be of immense help in identifying the type and period of Soviet headgear. Guide books packed with photos such as this one always pay for themselves!